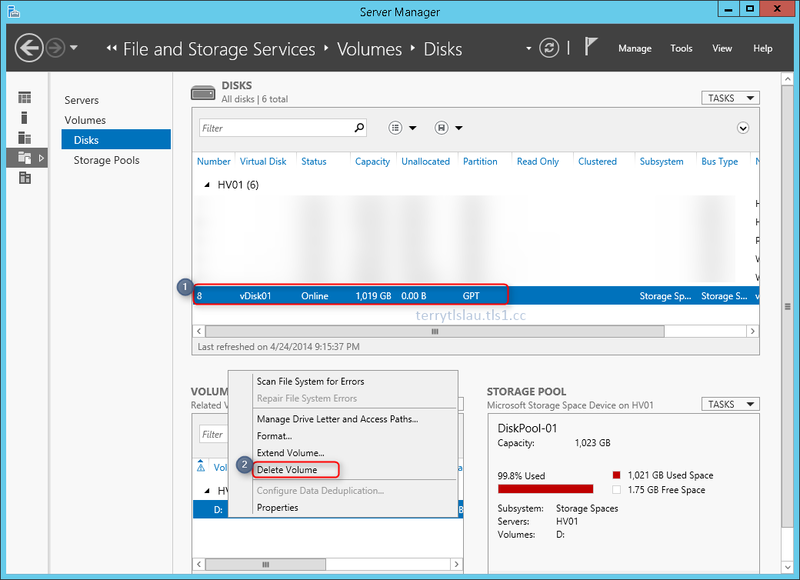 Microsoft added a new function, storage tiers, in existing storage pool function in Windows Server 2012 R2. Storage tiers combine the best attributes of solid-state drives and hard disk drives. They increase the performance of the mist used ("hot") data by moving it to solid-state drives, without sacrificing the ability to store large quantities of data on inexpensive hard disks. 3. 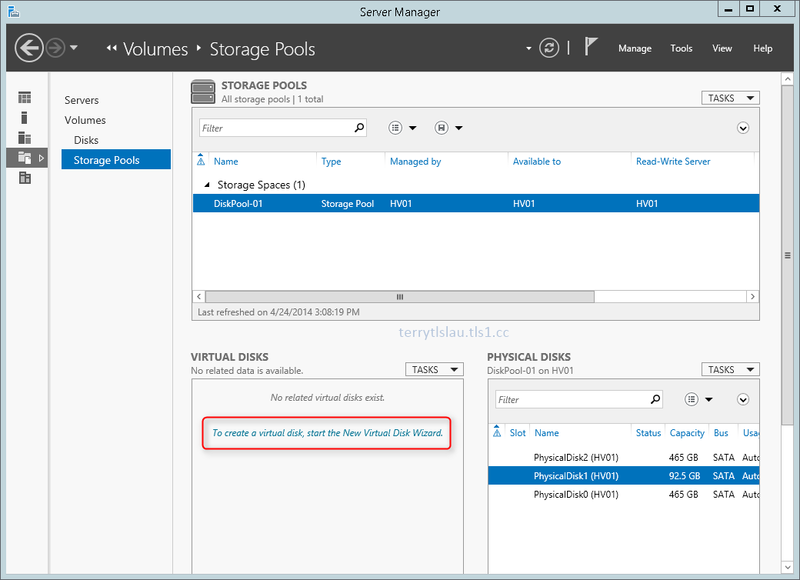 On "Server Manager" window, click "File ans Storage Services". 5. 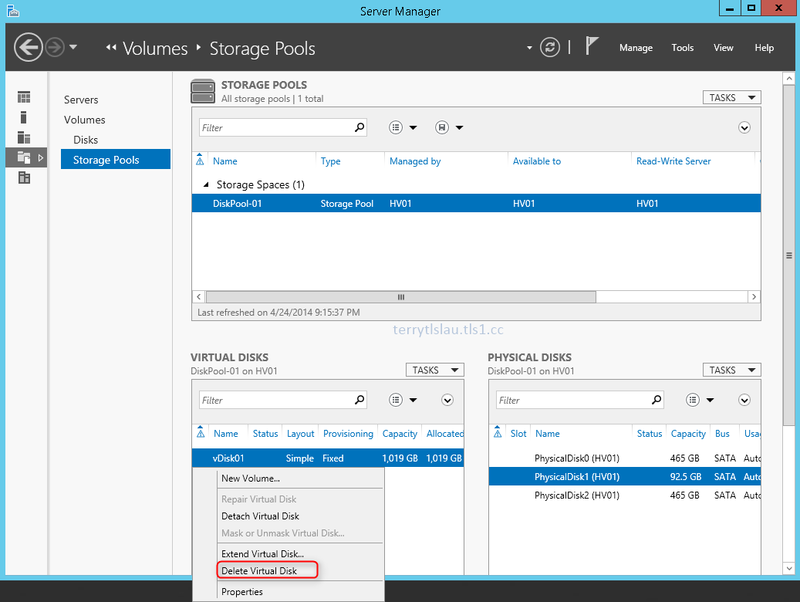 Next to "TASKS" of "STORAGE POOLS", click "New Storage Pool". 6. On "Before You Begin" window, click "Next". 7. 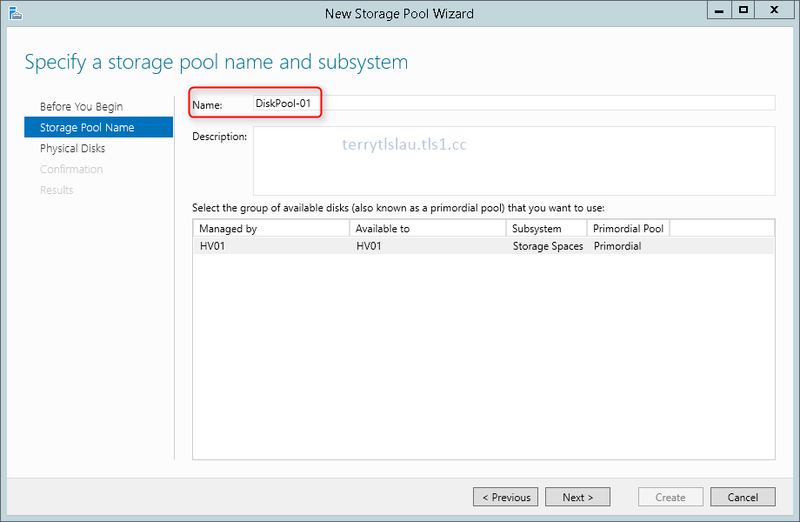 On "Storage Poo Name" window, next to "Name", enter "DiskPool-01". 9. On "Physical Disks", check all Physical Disks. 11. On "Confirmation" window, click "Create". 12. On "Results" window, click "Close". 13. 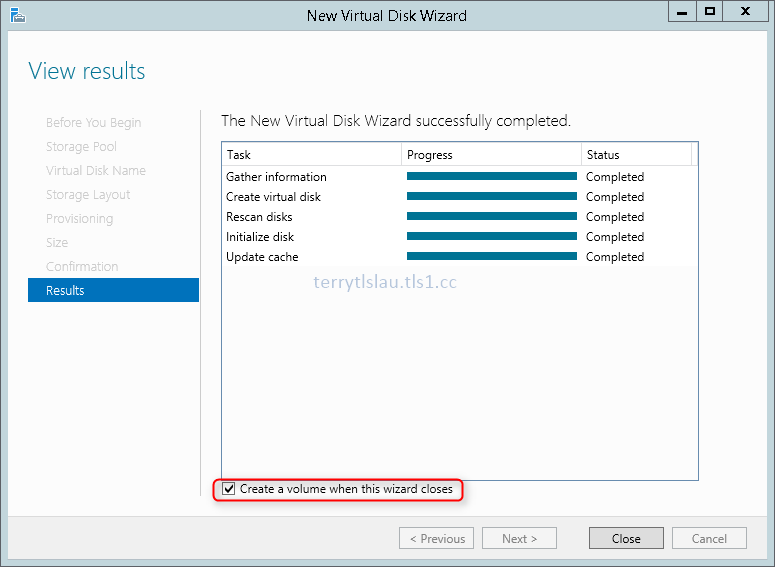 On "Server Manager", next to "VIRTUAL DISKS", click "To create a virtual disk, start the New Virtual Disk Wizard". 14. On "Before You Begin" window, click "Next". 15. 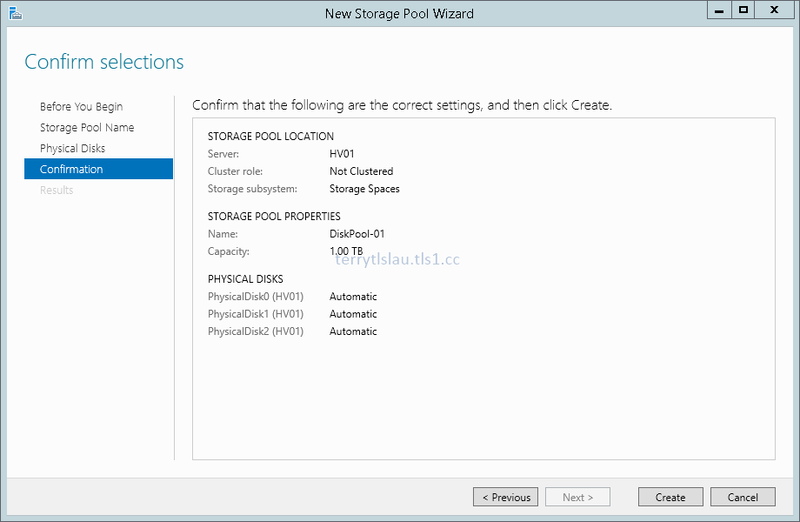 On "Storage Pool" window, select "DiskPool-01", click "Next". 16. 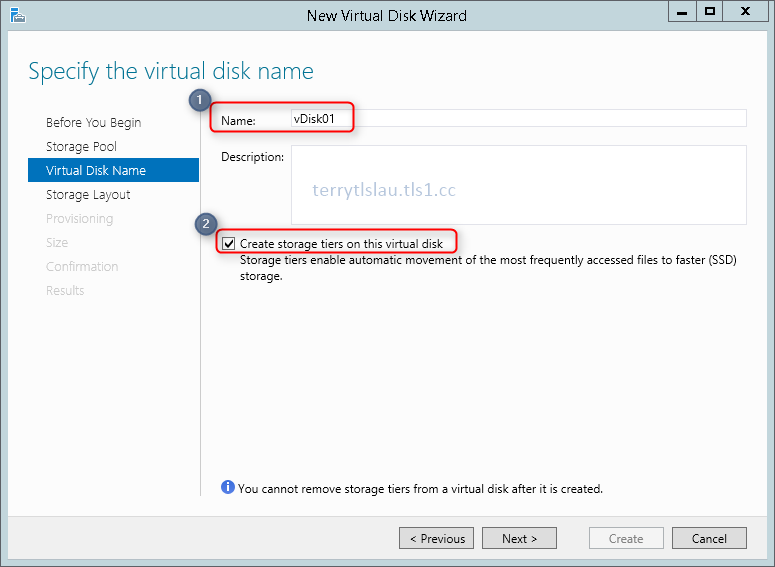 On "Virtual Disk Name" window, next to "Name", enter "vDisk01". 17. 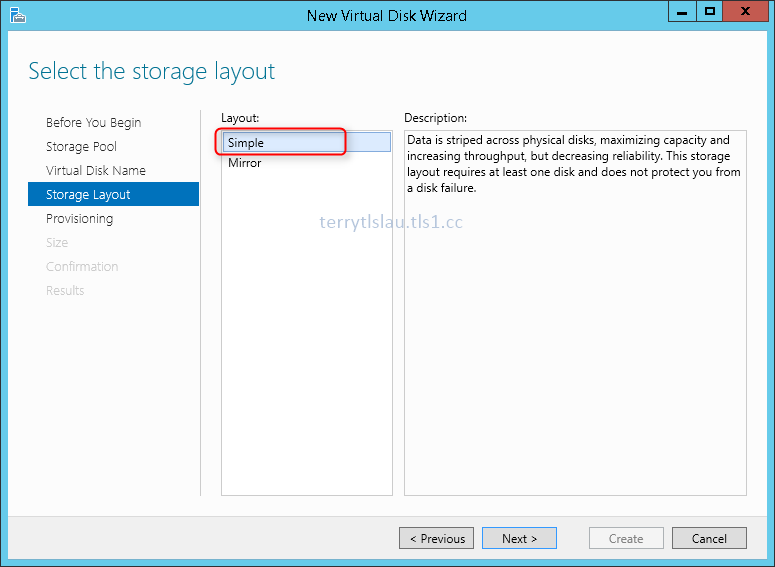 Check "Create storage tiers on this virtual disk". 19. 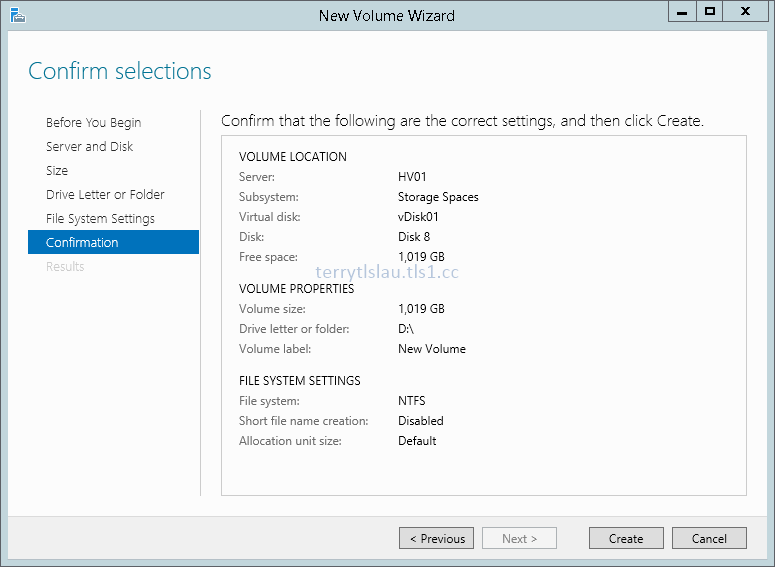 On "Storage Layout" window, select "Simple", click "Next". Remark: Storage Tiers support "Two-way mirror" and "Three-way mirror". 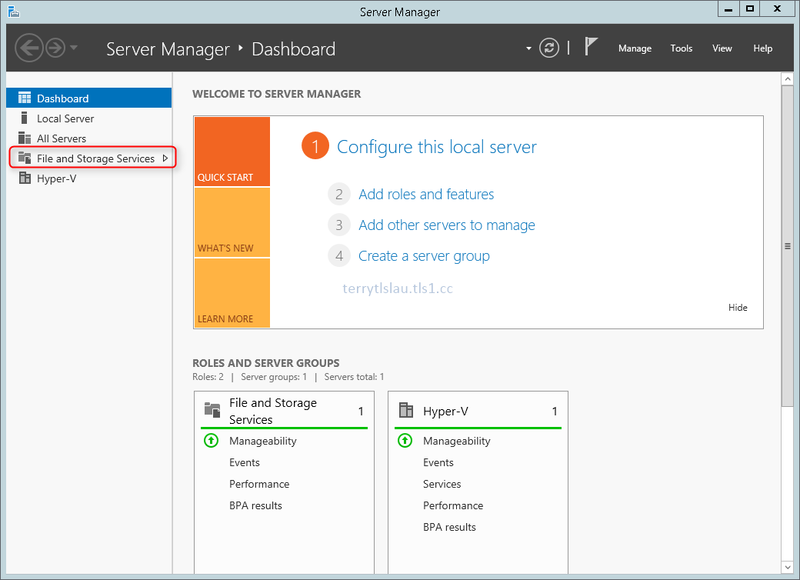 However, administrators have to add additional disks in servers. 20. On "Provisioning" window, click "Next". 21. 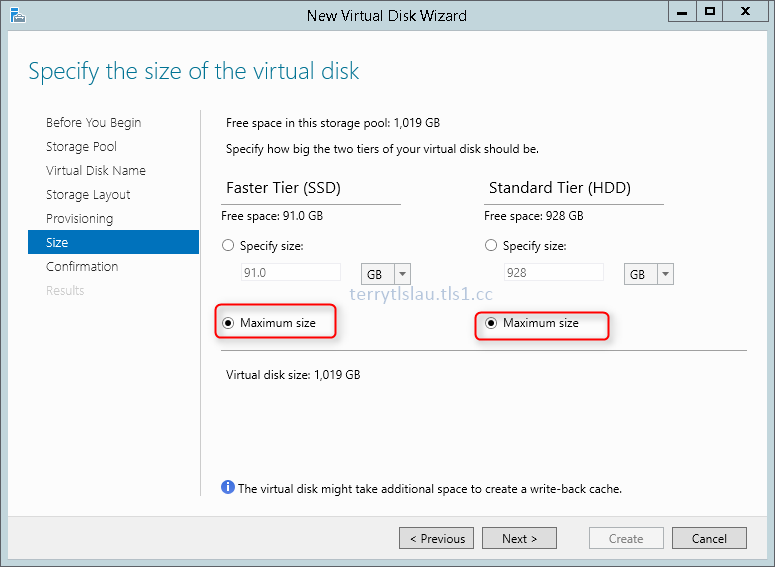 On "Size" window, select "Maximum size" for "Faster Tier (SSD)" and "Standard Tier (HDD)". 23. On "Confirmation" window, click "Create". 24. On "Results" window, leave default setting, click "Close"
25. On "Before You Begin" window, click "Next". 26. 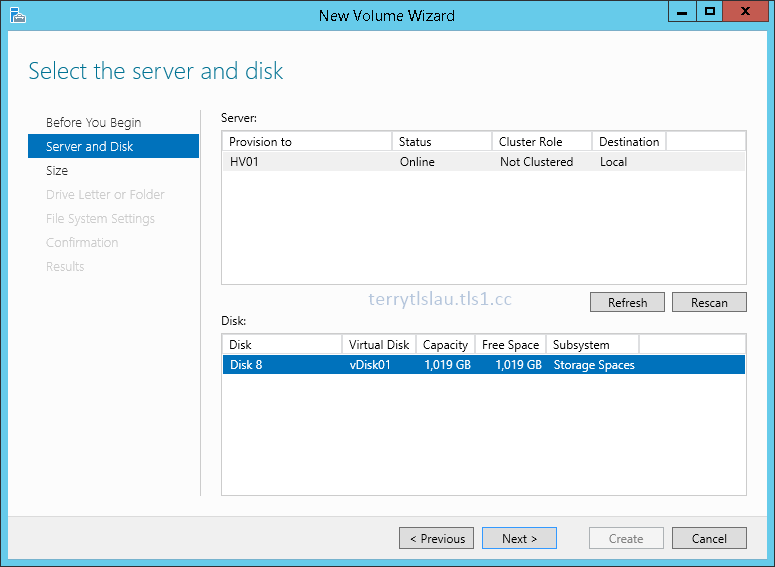 On "Server and Disk" window, select "Disk 8", click "Next". 27. 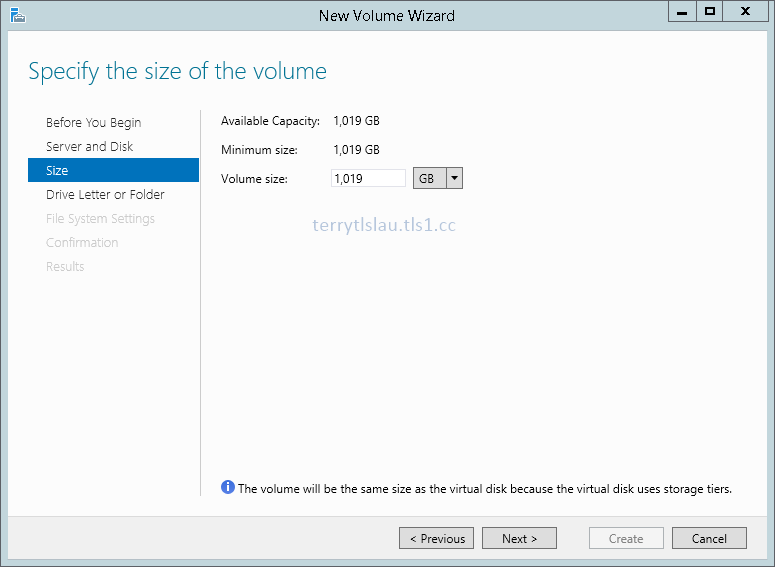 On "Size" window, leave default volume size, click "Next". 28. 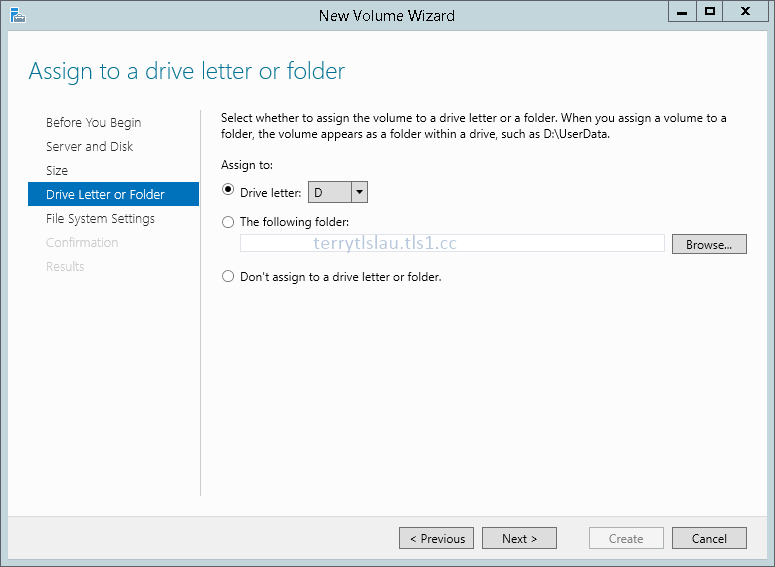 On "Drive Letter or Folder' window, leave default drive letter, click "Next". 29. 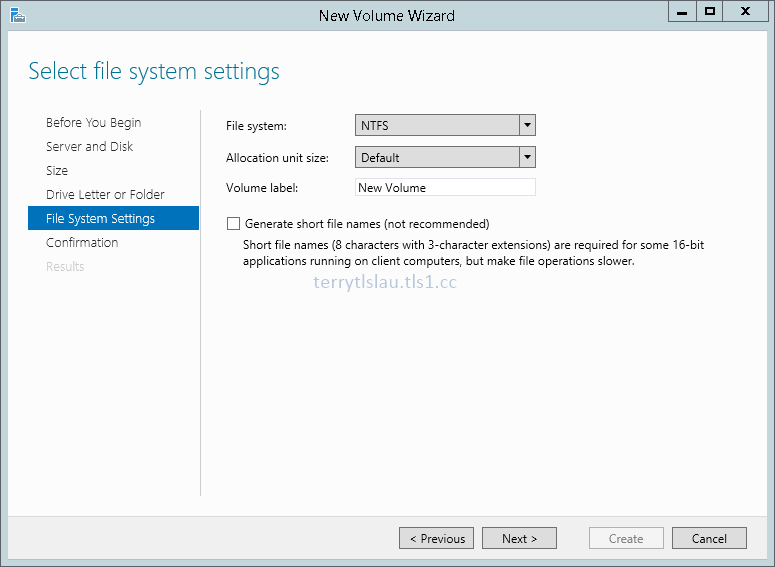 On "File System Settings" window, leave default settings, click "Next". 30. On "Confirmation" window, click "Create". 31. On "Results" window, click "Close". 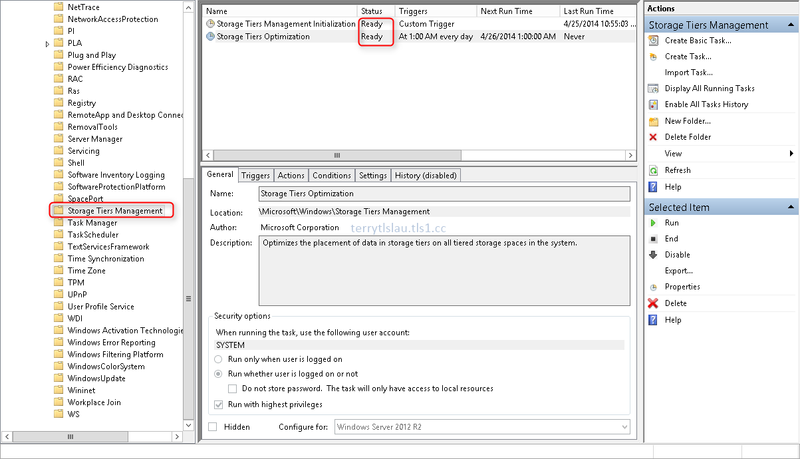 It's easy for administrators to configure Storage Tiers through GUI in Windows Server 2012 R2. However, some settings like "Write-back cahe" and assign files to SSD tier must be performed by PowerShell. 1. 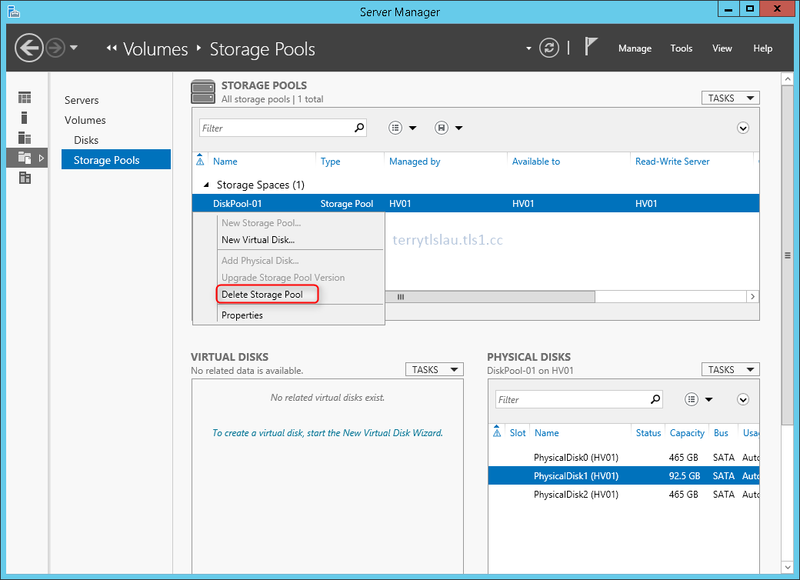 On "Disks" of "Server Manager", next to "DISKS", select "vDisk01". 2. Next to "VOLUMES", right-click "D:", select "Delete Volume". 3. On "Delete Volume" window, click "Yes". 4. 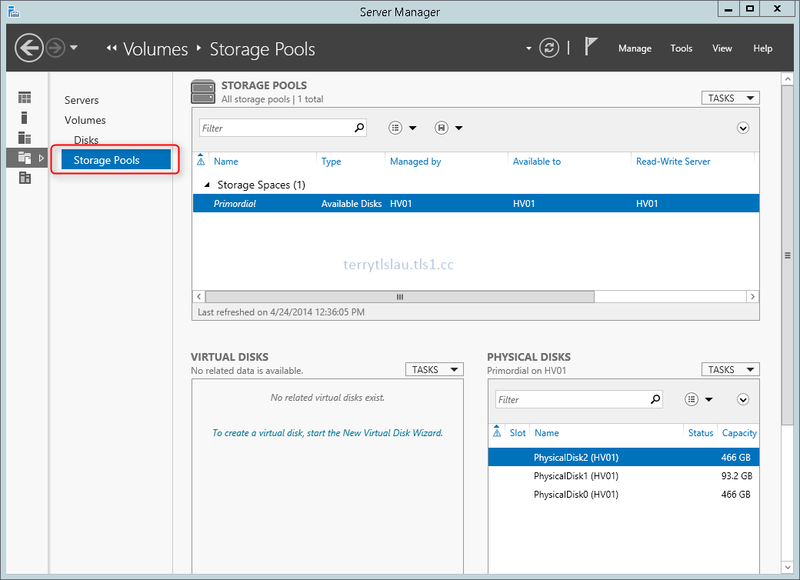 Go to "Storage Pools" of "Server Manager". 5. 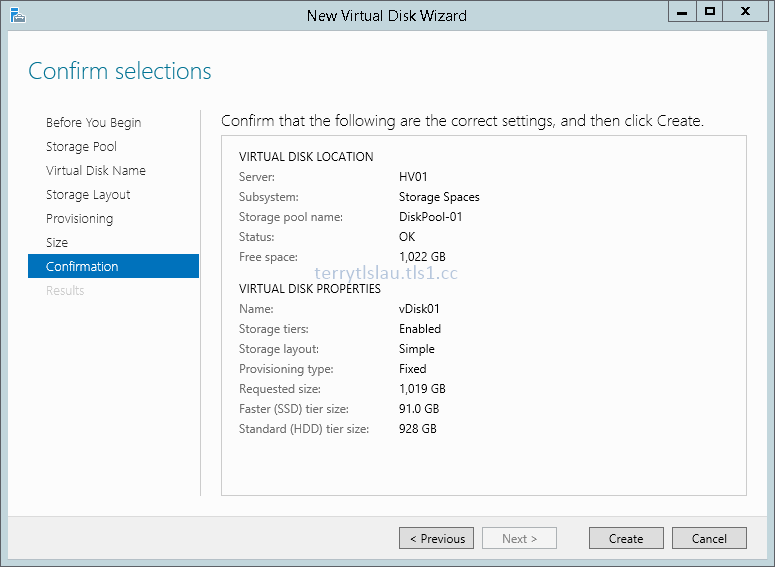 Next to "VIRTUAL DISKS", right-click "vDisk01", select "Delete Virtual Disk". 6. On "Delete Virtual Disk" window, click "Yes". 7. 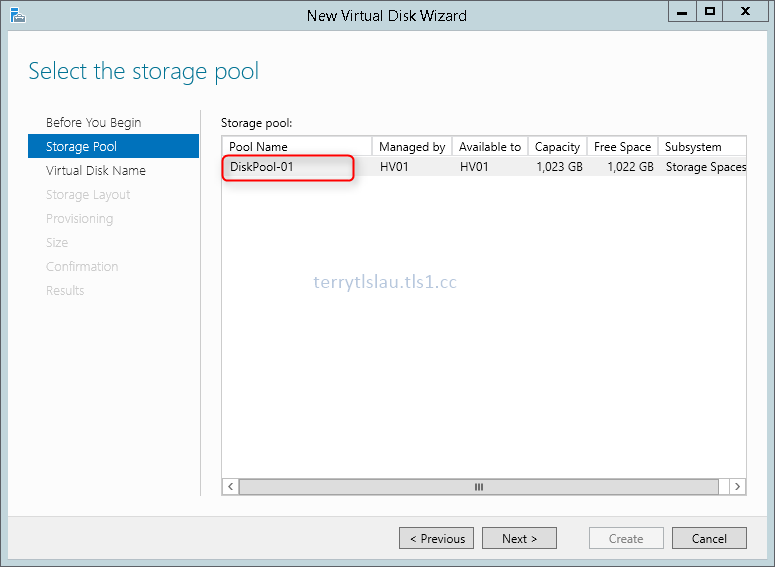 Next to "STORAGE POOLS", right-click "DiskPool-01", select "Delete Storage Pool". When configuration completed, the storage tires related schedule jobs will change the status to "Ready".